The spine-tingling exhibition Spellbound: Magic, Ritual & Witchcraft (see our review here) is on now and is a real must-see. 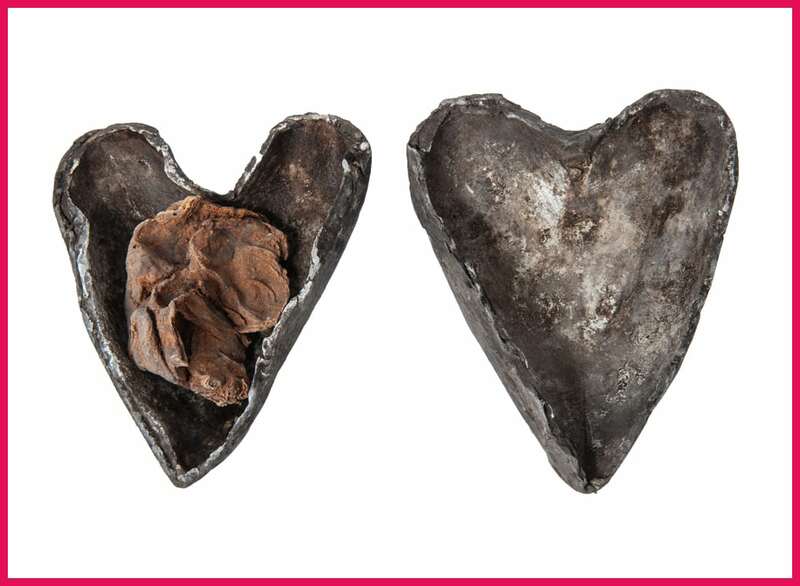 It’s creepy, fascinating and surprisingly moving, especially the exhibits about witchcraft. You might well require a stiff G&T after your visit, and the Ash can oblige with another of their popular Gin ‘n’ Jazz evenings on Wed 19. Parting with 30 quid gets you a glass of Ashmolean gin & tonic, FREE gin tasting from a specialist menu, sharing platters and nibbles, live jazz and outdoor seating (indoors if the weather is no longer obliging). 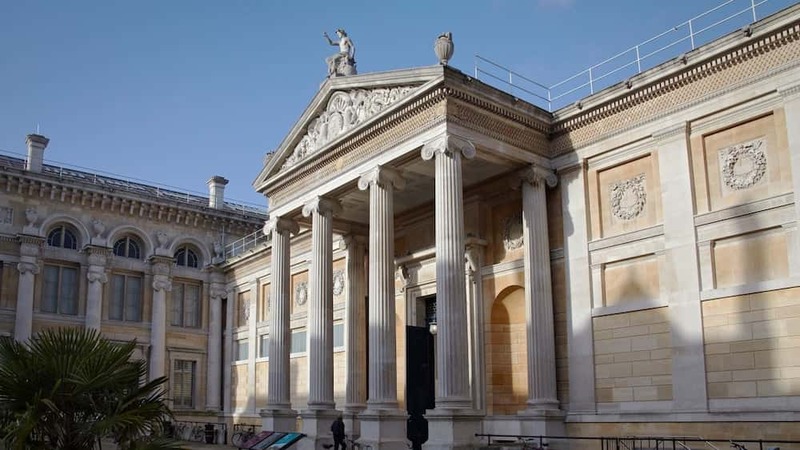 If you don’t make the gin evening, Fri 28 Sep is Ashmolean After Hours where you can visit the galleries once the crowds have gone, enjoy some live music, talks and drinks at the bar or even book in for dinner. Fancy something a little different? 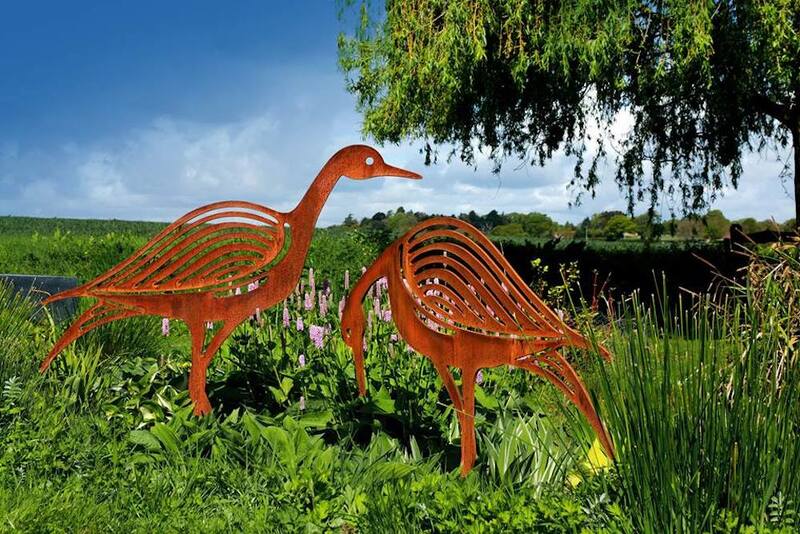 Walk amongst the vines of Oxfordshire’s oldest vineyard near Abingdon and peruse over 200 sculptures by more than 50 artists in this stunning setting. The art is available for purchase as is the wine, plus there’s food and drink with BBQs on the weekends and a pop-up restaurant on Sun 9 Sep. 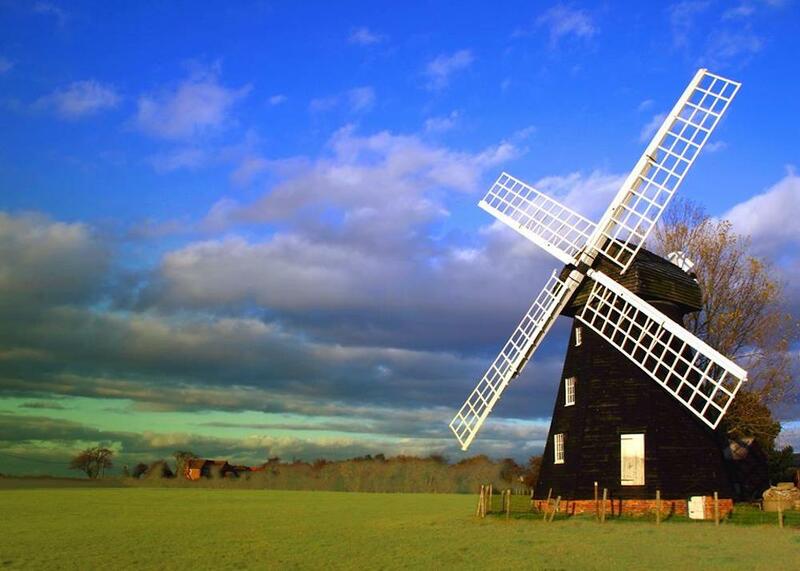 Kids can be entertained with an art-hunt round the vineyard and there will be sensory workshops and performances. 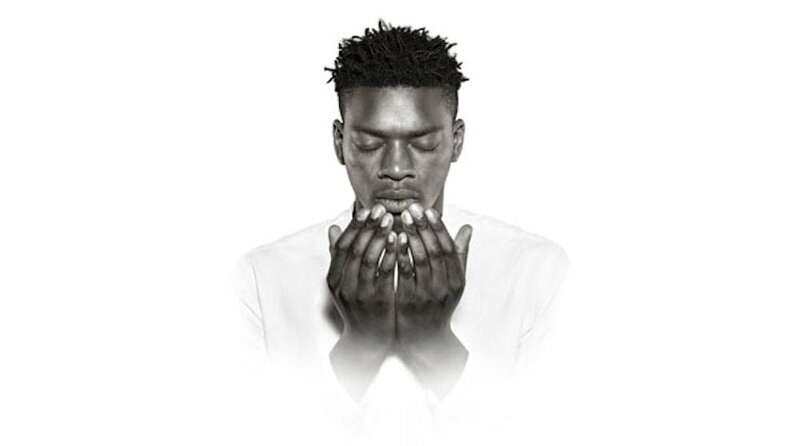 This sparsely staged version of Othello by the English Touring Company and directed by Richard Twyman has had great critical success. 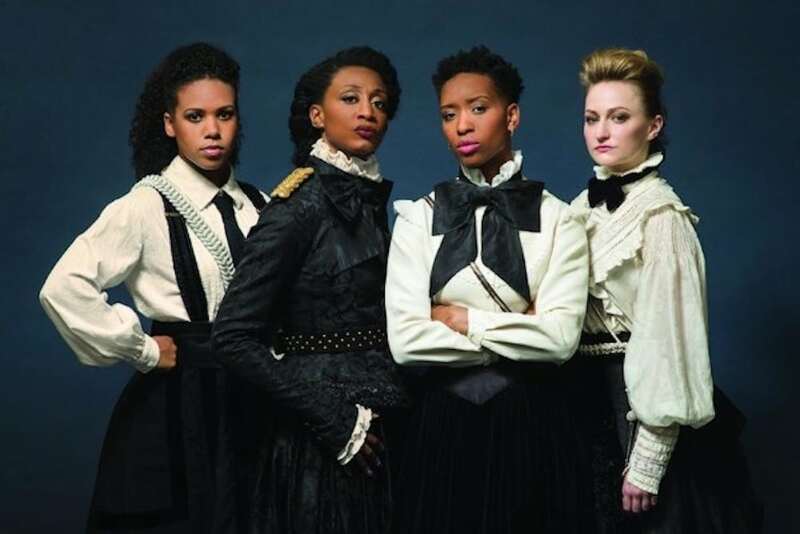 Powerful performances, lots of swearing, disconcerting and loud, it’s not for lovers of traditional Shakespearean experiences but it will stay with you long after you’ve left the theatre. In case you didn’t know, you either live in or very close to an Area of Outstanding Natural Beauty. No, not Aylesbury rather the gorgeous Chilterns and for the first time there’s a festival to celebrate the diverse heritage of our region. The Chiltern Society has organised 25 special events which include an Iron Age weekend at Wendover Woods (where families will have the opportunity to meet the Iron Age inhabitants of Boddington Hillfort, and help them with their everyday jobs like grinding grain, making butter and cooking stew), pop-up cinema screenings at the National History Museum in Tring and the Hellfire Caves in West Wycombe, a Roald Dahl guided trail and afternoon tea in Great Missenden, an afternoon at the Wormsley Estate owned by the famous Getty family and history walks around some of the area’s market towns including Berkhamsted and High Wycombe. That little lot should keep you busy. If you’ve always meant to visit some local attractions but never got round to it now’s your chance. Muddy fave, The Ashmolean, is a great place for all the family. With the school holidays over, mums and dads of pre-schoolers are not forgotten with their Baby Ashmoles events. Take your little one to an exhibition with learning opportunities for the both of you and let’s face it, it’s a heck of a lot more civilized than a the soft play centre. 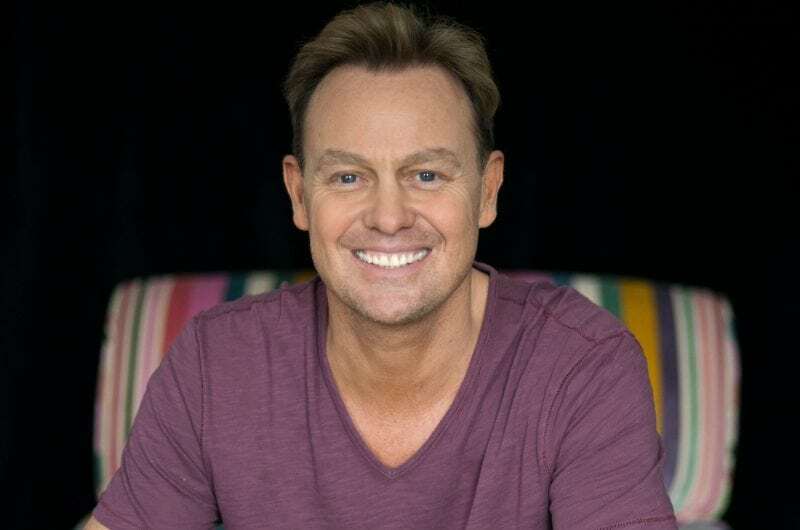 Especially for you, Jason Donovan is loitering with intent in our ‘hood. Celebrating his 50th birthday, the Australian cheesemeister we all secretly love is sharing a whole load of funny and insightful stories from his career spanning Neighbours, Joseph, I’m a Celebrity and Strictly , all interspersed with some musical faves. We’re told a certain Ms Minogue will get a mention or two as well. Can’t wait! 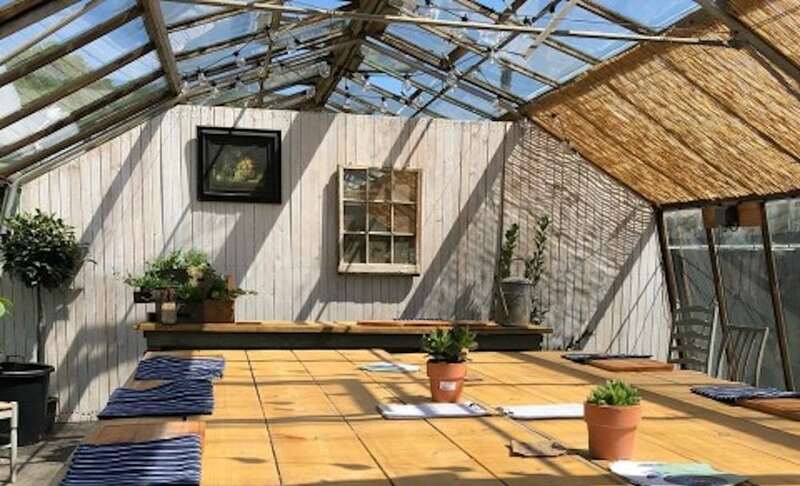 Keep everything crossed that our fantastic sweltering summer keeps up the good work this month, so you can relax in the beautiful walled garden of the Bucks County Museum for a Venture Cinema’s screening of 80s classic romcom The Princess Bride. There’s wood-fired pizza, Mexican street food, vintage ice cream and a well-stocked bar with wine, beer and prosecco. 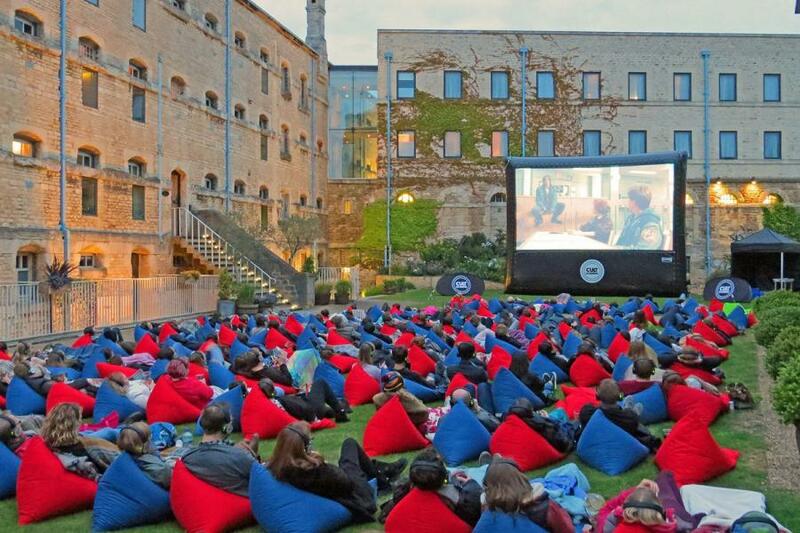 Or over Oxford way, Cult Screens are back at the Oxford Castle Prison Yard for four nights of outdoor screenings. It kicks off with the peculiar but fabulous The Shape of Water on the Wednesday night, followed on consecutive nights by Notting Hill, The Shawshank Redemption and Paddington 2. Bring a picnic and a bottle or make use of the mobile bar. The Native Feasters are popping up at Peterley’s new greenhouse venue, The Herb House, for two supper clubs ahead of their Feast On The Farm festival in early Oct. A vegetarian 5 course meal consisting of delicious seasonal and locally-sourced scrumptiousness (cooked by Michelin-starred chef Chris Godfrey and hosted by mixologist extraordinaire Greg Jones) awaits plus a bar selling artisan wines and seasonal cocktails. Wrap your lips around a butternut fritter with capers, tamarind dahl, caramelised onion and fig tart, wild mushroom ragu and pear and lime cake. Don’t mind if I do, thank you very much. 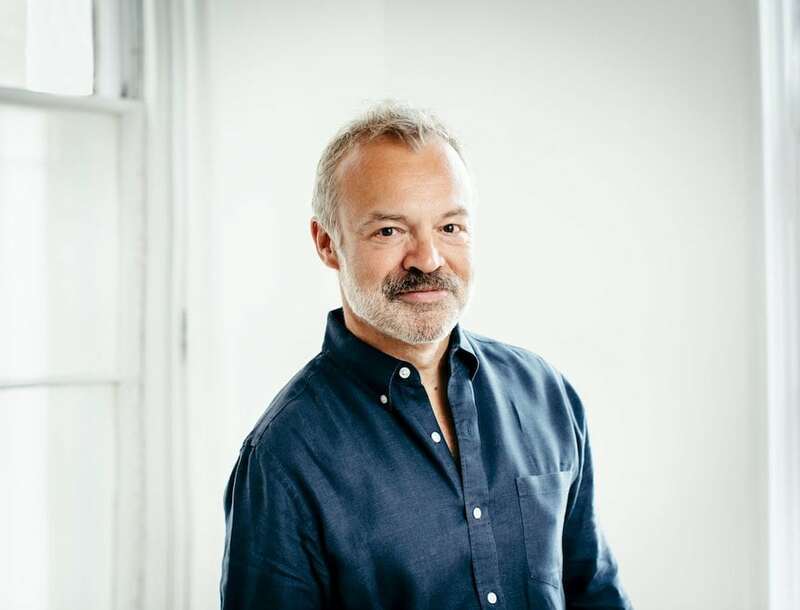 Plugging his second novel The Keeper (his debut Holding was a Sunday Times bestseller), Graham pops up in High Wycombe to talk about his book – a tale of secrets and ill-fated loves – followed by a Q&A. Let’s face it, the opportunity to ask Graham some nosey questions is the draw rather than the free signed copy of his book but we’ll humour you, Graham. The Thame Food Festival has expanded its waistline over the last few years, having totally outgrown the centre of town. Last year was its first at the Thame Showground with the advantage of loads of free parking, a free shuttle bus from the town centre and no fear of being trampled and parted from your loved ones whilst trying to sample an organic sausage on a stick. Guests this year include Raymond Blanc (obvs or should I say bien sur), Chris Wheeler (the award-winning Ginger Chef from Stoke Park), Martha Collison of Bake Off fame and reality TV combo of Matt Evers and Candice Brown who were partners on Skating on Ice after Candice won Bake Off (keep up!). Demos, cook-offs, interviews, loads of stalls groaning with delicious produce and loads of kids activities makes this a jolly weekend event for all the family. This talented four have played at Carnegie Hall and Wigmore Hall and are making their debut at the stunning Windmill Hill venue with a programme of Haydn, Britten and Schubert. If you love classical music and want sublime surroundings in which to immerse yourself, this one is for you. For a small festival, this sure punches above its weight. 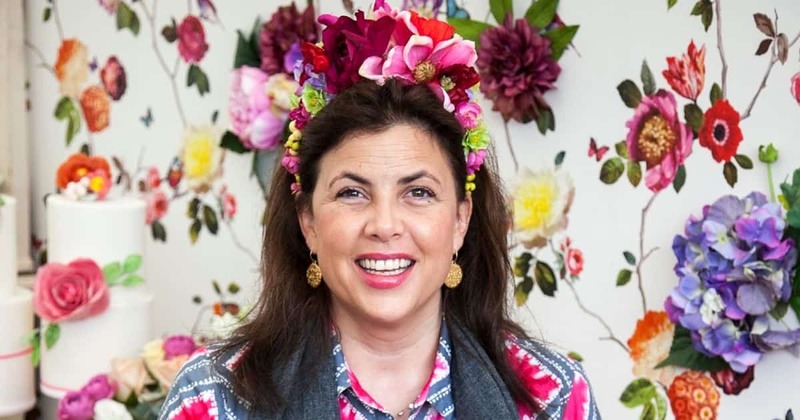 Famous names this year include historian Kate Williams, actress Ruth Wilson, broadcaster June Sarpong, author Professor Simon Schama, MP Priti Patel, psychologist Tanya Byron and barrister/former PM wife Cherie Blair. With the sumptuous hotel as the backdrop, this promises to be a fabulous affair. 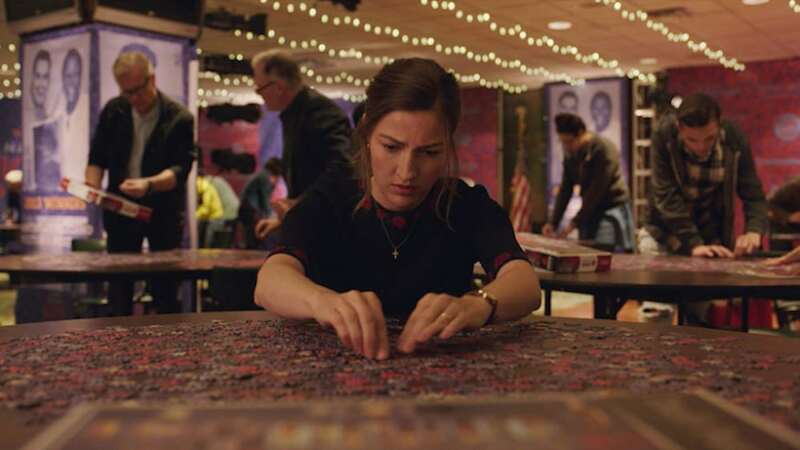 Based on the Argentinian film Rompecabeza, by Natalia Smirnoff, this graceful drama stars Kelly Macdonald as Agnes, a wife and mother whose humdrum existence transforms when she discovers she’s really good at puzzles. Her passion for puzzling takes her to New York where she meets a champion puzzler and her life changes forever. 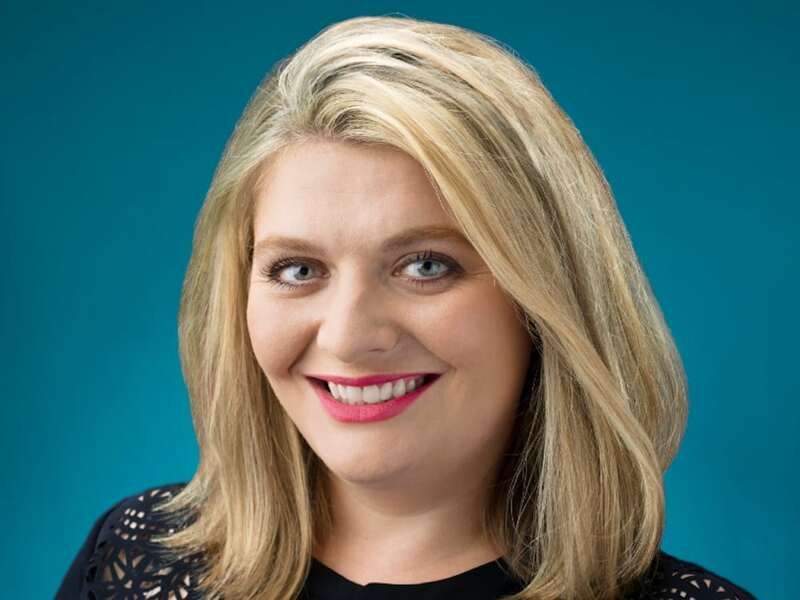 It may sound like a strange premise but it’s rare for this kind of midlife crisis story to centre on a woman and Kelly McDonald (above) really shines. Based on the gothic horror children’s novel by John Bellairs, orphan Lewis goes to live with his mysterious uncle who turns out to be a mediocre warlock, living next door to a good witch. The previous owners of the house were plotting to destroy the world and had hidden a clock in its walls eternally ticking towards alignment and ultimately annihilation. This family magical adventure stars Jack Black and Cate Blanchett and sounds like just the ticket as the nights draw in. Superbly acted by Glenn Close and Jonathan Pryce, this intimate look inside a marriage is based on the book by Meg Wolitzer. Joan and Joe Castleman have been together for 40 years but when Joe wins the Nobel Prize for literature, the award exacerbates strains in the marriage. Interestingly, this is less a portrait of a marriage and more about the compromises a mid 20th century creative woman felt she had to make in order to survive. Pass the remote and the blankie, let’s get the telly on, love. And what a splendid month to do so – all the snazziest, biggest budget new dramas launch in Sep. Firstly, if you’ve been living under a rock/ on a sun-lounger for the last few weeks, make sure you catch up on the amazingly gripping Bodyguard (BBC1, 9pm, Sundays). 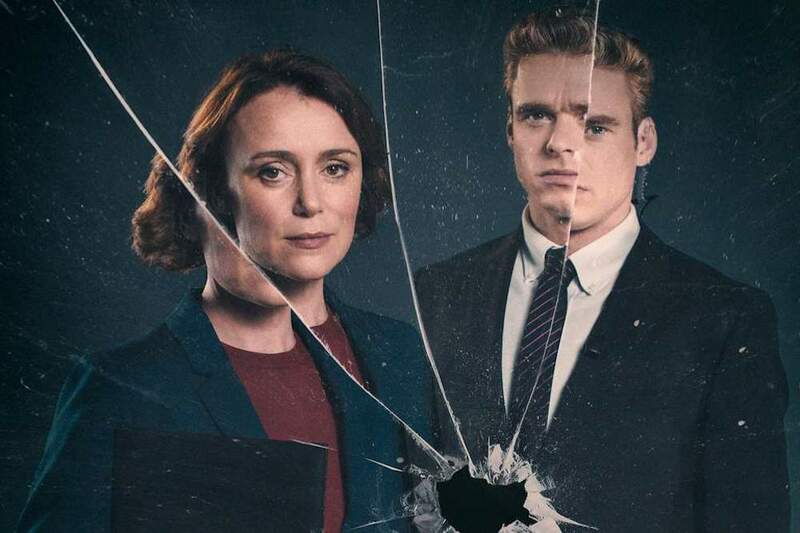 Created by Line Of Duty’s Jed Mercurio, it stars Keeley Hawes as a frosty Home Secretary – and terrorist target – and Richard Madden as her brooding protection officer. We’re up to episode 3 so get thee to iPlayer pronto if you’ve yet to have the pleasure (but do watch your blood pressure). And there’s another juggernaut heading our way on Sunday nights. Vanity Fair, ITV’s lavish adaptation of Thackeray’s classic novel, starts on 2 Sep. Olivia Cooke plays inveterate social climber Becky Sharpe (she’d be a social media influencer these days, wouldn’t she?) and it’s made by the production team behind Poldark, which sure bodes well. Us hacks here at Muddy are very excited about Press, a BBC1 drama, launching Thurs 6 Sep, set in a national broadsheet newsroom. Its writer Mike Bartlett was responsible for Doctor Foster and David Suchet, Charlotte Riley and Ben Chaplin star. Finally, let’s hear it for the girls – Jodie Whittaker makes her debut as the first female Dr Who on 23 Sep on BBC1 and Fleabag’s Phoebe Waller-Bridge returns to the BBC with a female-heavy spy thriller later this month. 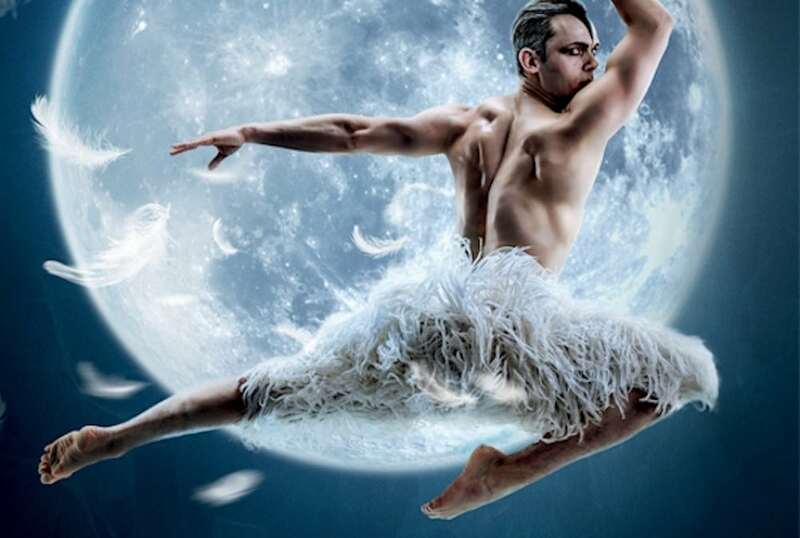 Matthew Bourne’s menacing, witty and unique production of Swan Lake has won tons of awards and rightly so. It’s best known for the all male corps-de-ballet – unheard of in the ballet world before – but it’s an all-round winner even if you’re not a ballet fan. Another West End colossus arrives later in the month with Bill Kenright’s production of Evita, starring Lucy O’Bryne (who has the Sound of Music and Les Mis on her CV). Both productions are bound to be sell-outs so get booking here. To the tower! On this occasion you’ll keep your head. 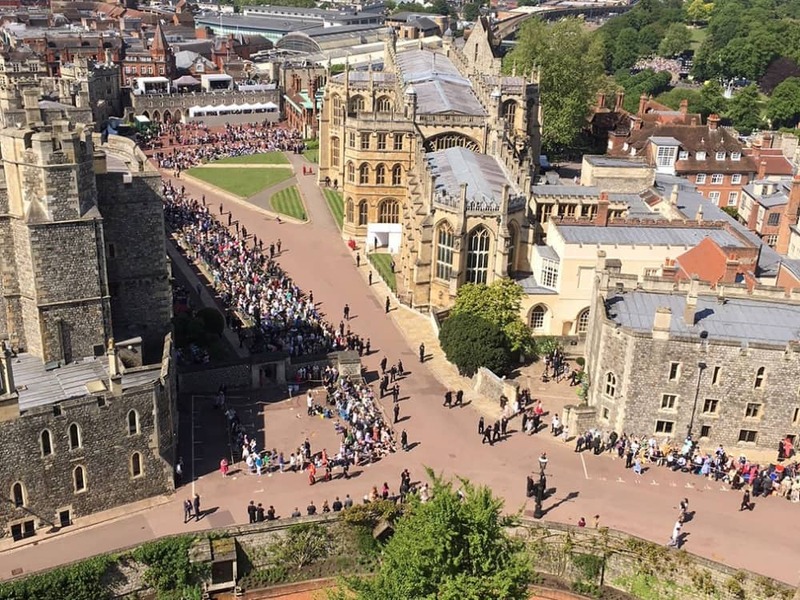 The iconic Round Tower dominates the Windsor skyline, and now you can take the 200 steps (wheeze… one too many ice creams this summer) to check out the epic view from the top. While the Queen’s holidaying in Balmoral, poke around her gaff and see St George’s Chapel, Long Walk, Windsor Great Park and the London skyline. 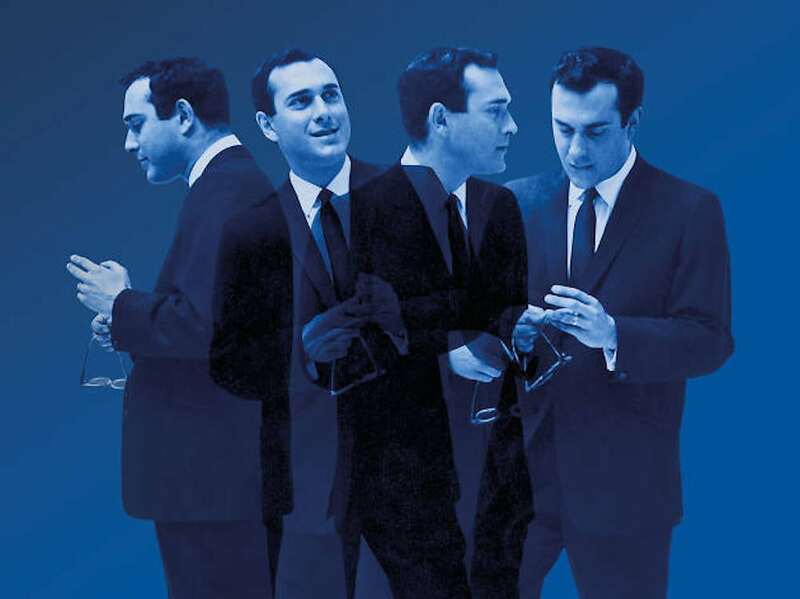 Fiona Laird, who has worked with some of the biggest names in British theatre from Benedict Cumberbatch to Dame Judi Dench, not only directs but has composed the music for this new fun-filled RSC production, which has something of a TOWIE feel to it (yes, really). It’s a glam suburban comedy about wealthy wives and over-inflated egos, with a strong female cast including Katy Brittain, Beth Cordingly, Karen Fishwick (Juliet in the RSC’s current Romeo & Juliet), Rebecca Lacey, Sakuntala Ramanee, Ishia Bennison and Charlotte Josephine. The performance on Sep 12 will be broadcast live in cinemas nationwide. 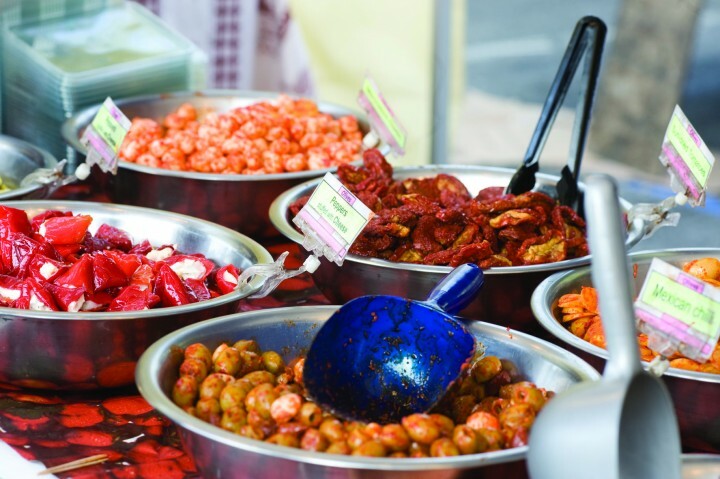 Spice up your life with this festival held in the grounds of Waddesdon Manor. 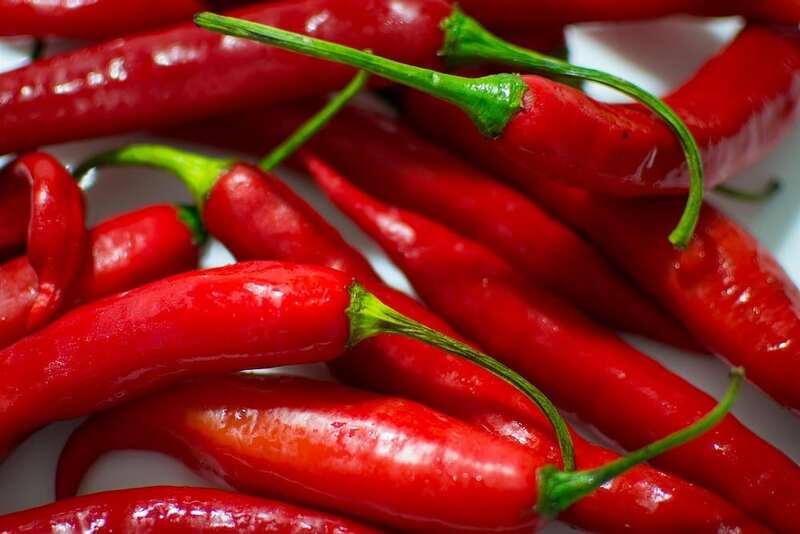 There are 65 local exhibitors who promise to give your tastebuds a workout, with chilli sauces, jams, beer and chocolate. If it all gets too much, you can cool your tongue at the frozen yogurt stand. Not to worry if your kids haven’t yet reached a level of spice sophistication, just settle them down at the crafts table or the face-painting. From 10am-5pm. Blenheim has gone car mad. Pull out your posh frock for this fancy-schmancy garden party on the south lawn at Blenheim Palace. Supercars, hypercars (say, what?) 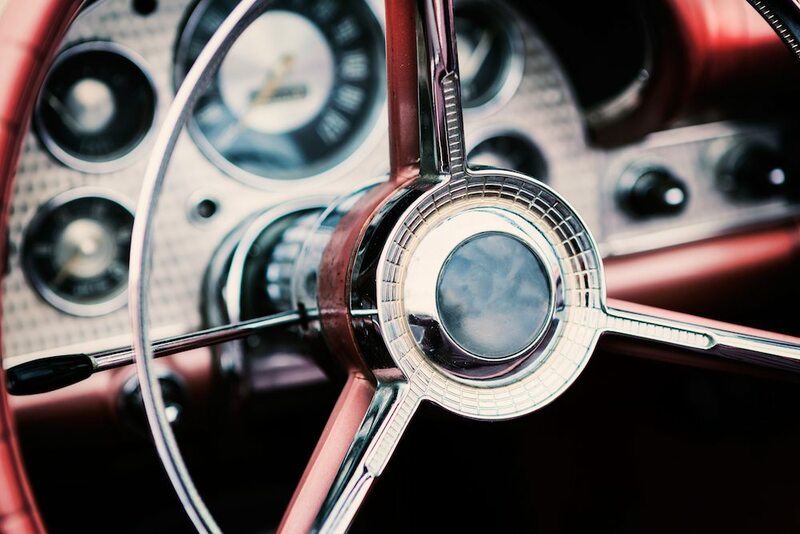 and classic cars will be parked up for your perusal, alongside a luxury retail village and top notch nosh. Friday is Boodles Ladies Day (where you can ogle the jewellery) and the Sat sees a tribute to 70 years of Porsche. If you just want to see the cars without all the VIP extras, you can head to Blenheim on the Sunday where you can stroke the bonnets and watch the Pirelli Prestige & Performance Competition in the Great Court, featuring 80 sensational motors dating from 1976 to current day, with a Winner’s Parade later in the afternoon. Get your motor running, baby! 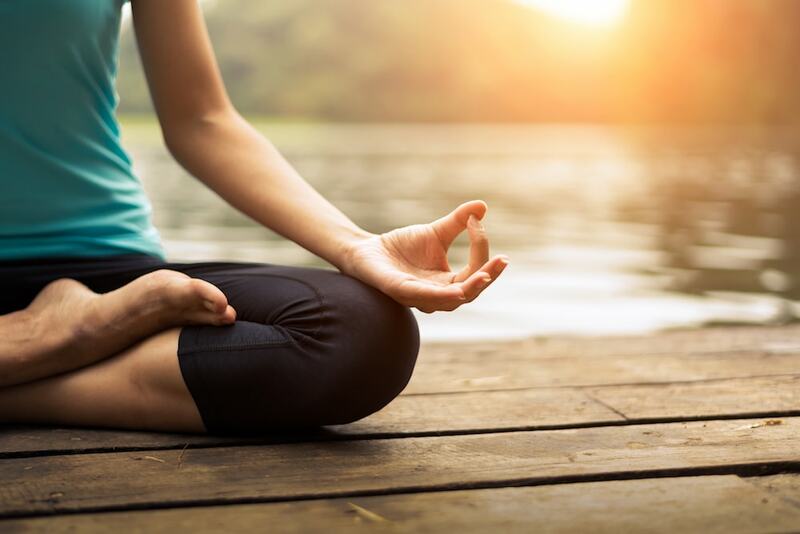 With the summer nearly over, now is a great time to have a day to yourself to contemplate, destress, unwind and gear up for the new season. The fabulous Sweat Studios from Milton Keynes are hosting a one day festival in a beautiful teepee overlooking a lake. Tickets cost £75 and include a full day of yoga (suitable for all levels), lunch, refreshments and all equipment. With most schools going back this week and workplaces returning to normal, I reckon you owe it to yourself to do something just for you. 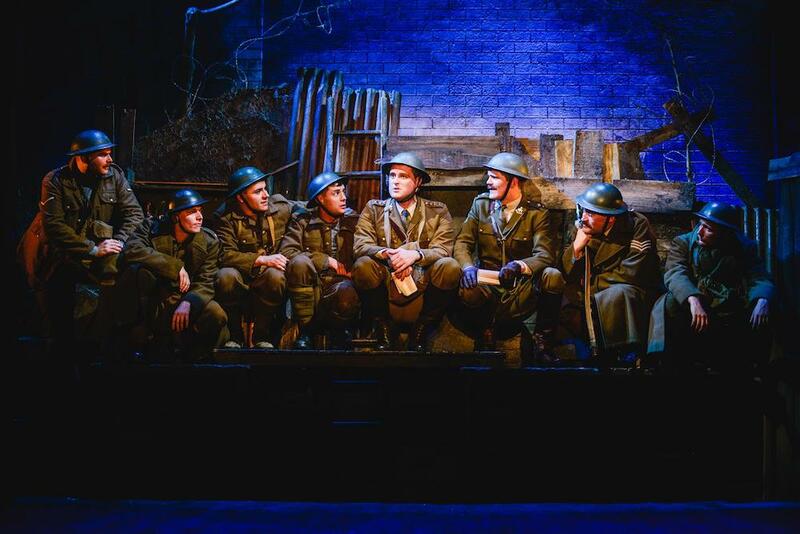 If you’ve yet to see this record-breaking play by Ian Hislop and Nick Newman, it returns to the Oxford Playhouse this month so get a wiggle on and book tickets. This true and extraordinary story tells of the creation by two officers of a cheerful, subversive and satirical newspaper during the First World War in the Belgian town of Ypres (mis-pronounced Wipers by British soldiers). The newspaper ran for two whole years despite bombardment and disapproval by the powers-that-be and was an amazing source of encouragement to the troops. I enjoy Ian Hislop’s razor-sharp wit so it’s bound to be a fun evening despite the setting of the trenches of the Great War. And if you like your comedy, heads up that Tom Allen’s Absolutely show is on at the Playhouse on Sun 30 Sep (he’s the camp, bald one from the likes of Have I Got News, Mock the week and 8 Out of 10 Cats). Celebrate Oxford’s canal – its attractions and history – with this free weekend event including heritage walks, live music, canal olympics, kids activities, boat trips, a dog show, fancy dress competition, film screenings and food & drink. Bit niche but you never know! 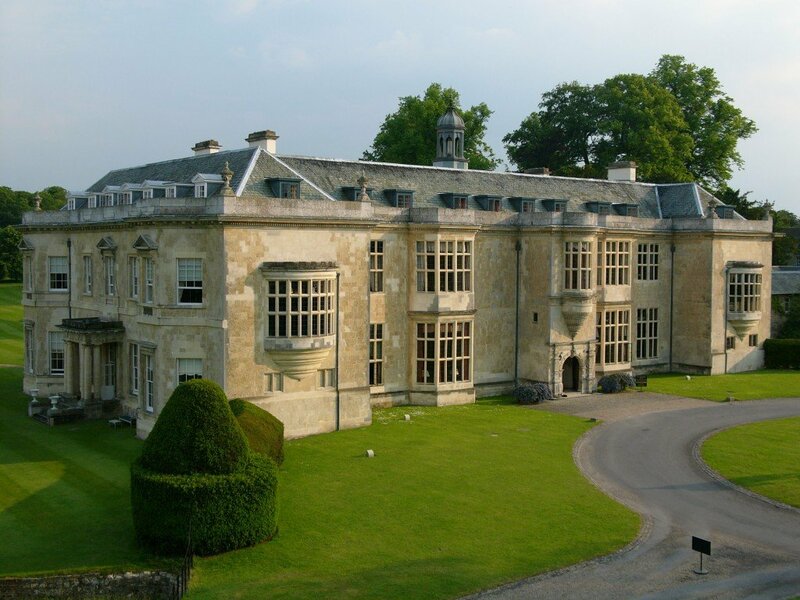 Hartwell House near Aylesbury is more under the radar than a lot of country house hotels in our area but it’s certainly worth a visit for the beautiful architecture, grounds, food and spa. 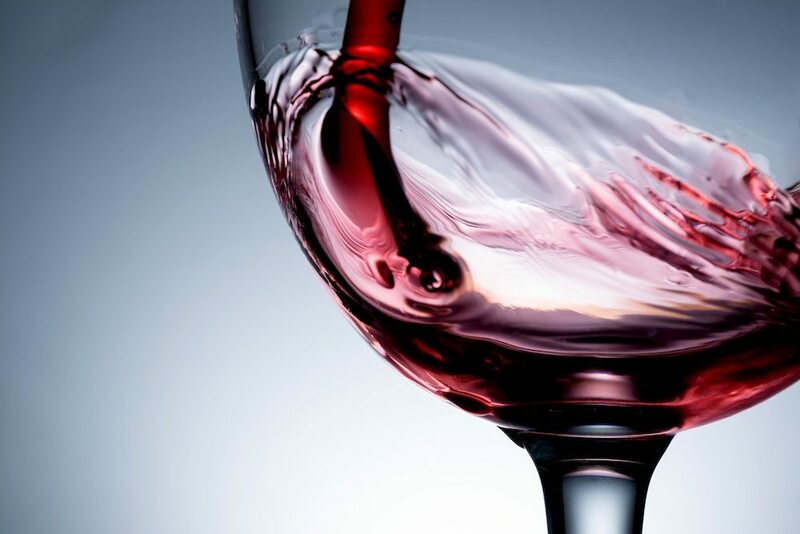 They put on a few gastronomic events a year and this champagne reception and four course dinner with specially selected French wines from their cellar is very popular. It certainly adds a certain je ne sais quoi that its most famous resident was the exiled king of France, Louis XVIII, who made it his home for 5 years from 1809. Kids just back to school? YEAH! In need of some culture and adult time? HELL YEAH! 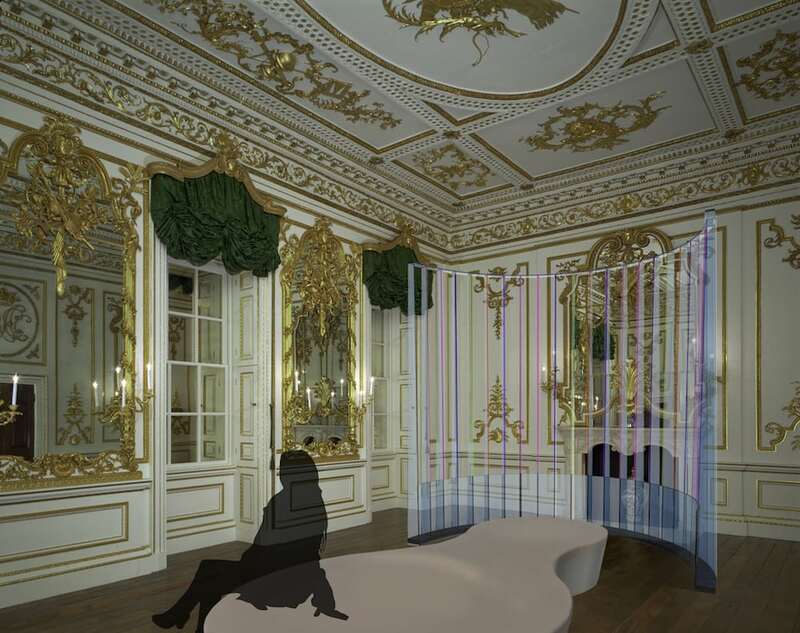 Then get yourself over to Waddesdon Manor as artist Michael Eden and exhibition curator, Mia Jackson, explain how his current exhibition Form & Transform was developed and created with pieces from the collection of Waddesdon as his inspiration. 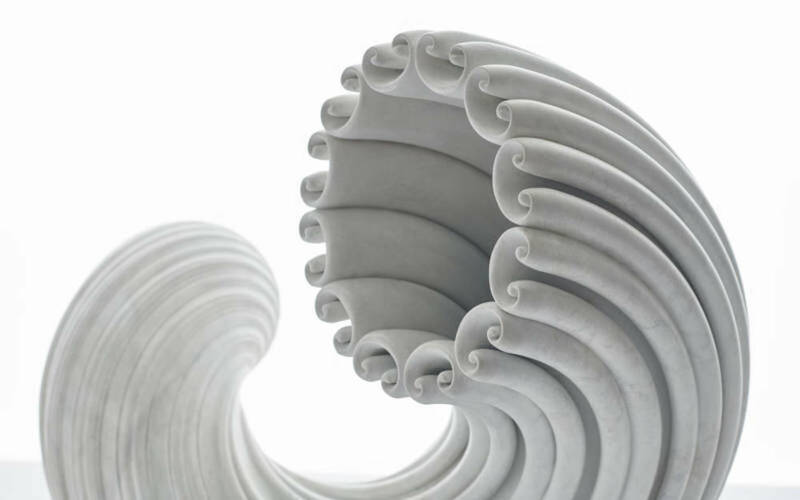 They’ll try to demystify the incredible use of computer-assisted drawing and 3D printing technology that can make such art forms now possible. Sounds fascinating and enlightening – and not a bouncy castle in sight! Calling all nosey parkers! One of my favourite events in Oxford, Open Doors has been running annually since 2008, literally opening doors behind some of Oxford’s most beautiful – and private – buildings and projects. There’s an extraordinary range of buildings and spaces to choose from, but there are a couple of stand-outs for me including a visit to the Painted Room (above) in Cornmarket, visited by Shakespeare, no less, and a rare opportunity to see The Jesuit Hall of the University, designed by Sir Edwin Lutyens with its fine architectural features including the main Chapel and Library. 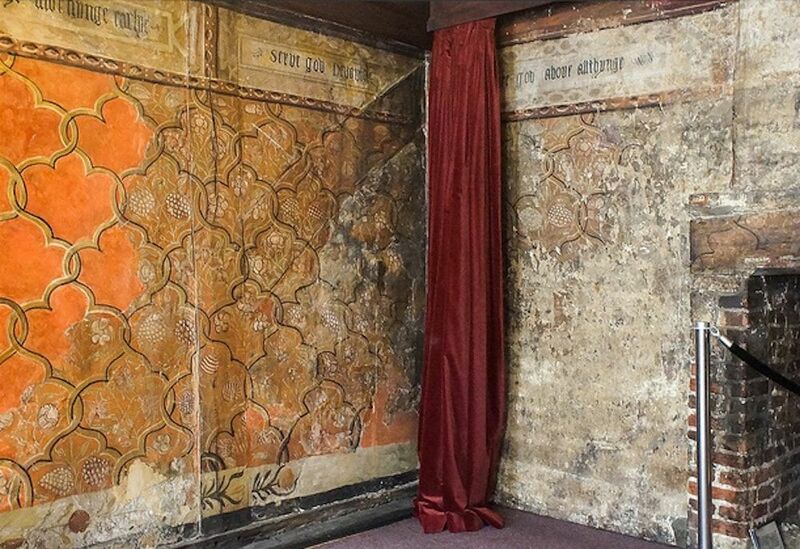 You can see the 16th century wall paintings Medieval Merchant’s House in Abingdon, take guided tours of Magdalen College’s delicious 15th century Old Library or even cuter, demonstrations of Real Tennis on the second oldest court in the world at Merton College. I also fancy checking out some of Oxford’s contemporary buildings like Saïd Business School or the new Sir Kenneth Wheare Hall at Oxford Brookes. Make sure you’re wearing flat shoes – it’s going to be a busy weekend. 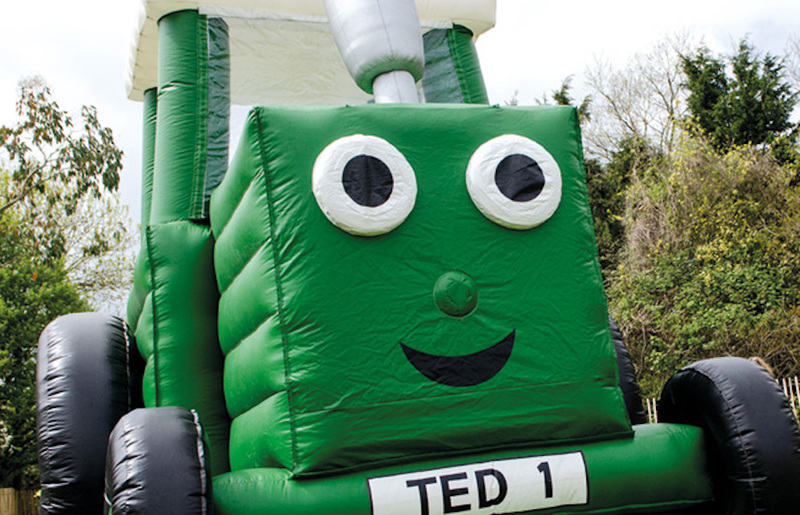 If your nippers’ two favourite things in the world are Tractor Ted and bouncy castles then 9 Sep sure is their lucky day. A giant Tractor Ted bouncy castle will be popping up at Stonor Park, Bucks, ideal for letting off some end-of-the-summer-hols steam. Suitable for under 7s, the activities also include getting up close with animals at the mobile farm plus there’s the Wonder Woods adventure playground to make sure they’re fully exercised and ready for a week of school. Tally-ho! 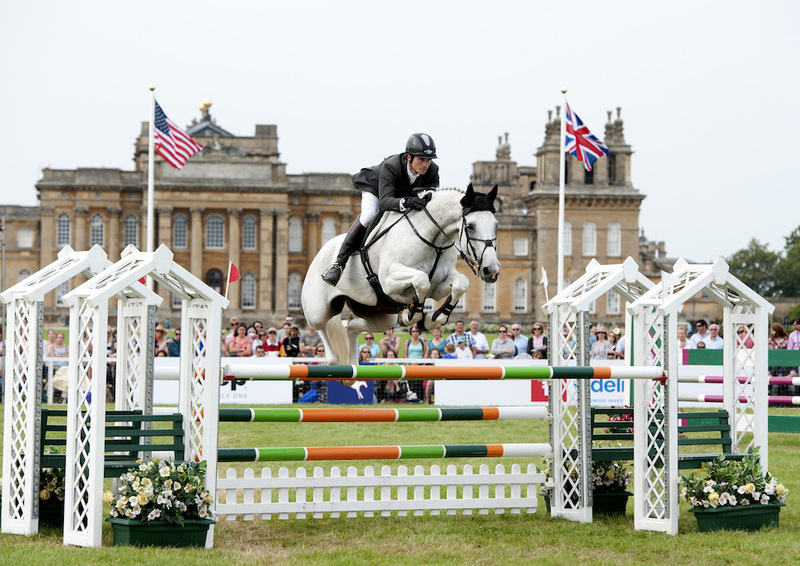 The 28th annual Blenheim Palace International Horse Trials return this week, a three day event over four days (maths isn’t my strong point but um?) featuring dressage, cross country and show-jumping. It’s very horsey as you can imagine – the trade stands are rammed with tweed, leather boots and strange equine fashion, but you get great views of the competition (nearly so close you can touch in some instances), and it’s a slickly run event in stunning surrounds. Displays, demonstrations, children’s activities, shopping, food, bars and entertainment. Horsey heaven. Calling all Penelope Pitstops! 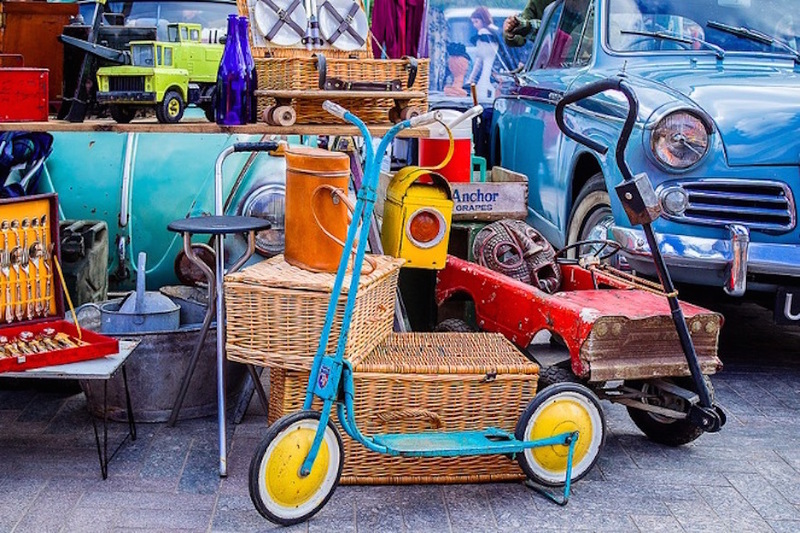 Get yourselves down to Bucks’ answer to Wacky Races, featuring 800 vintage, classic cars, motorbikes and hand-built karts. 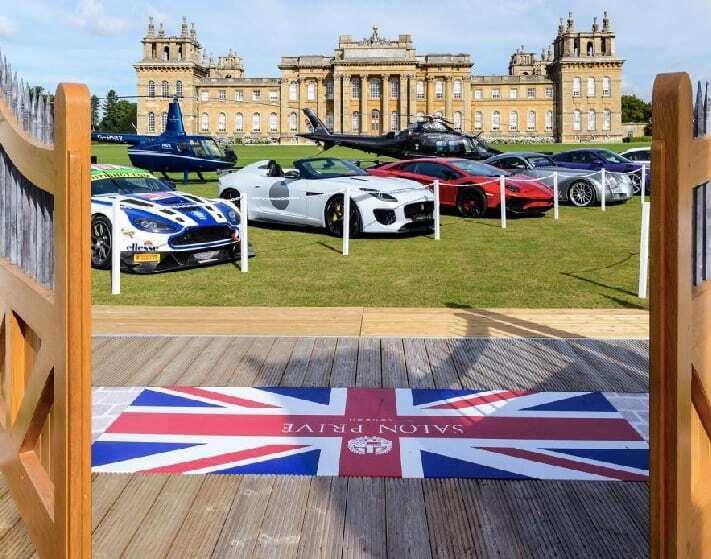 You can check out the vehicles – once they’ve come to a stop of course, health & safety fans – with many this year from the First World War era and chat to their owners. There’s a real festival feel to the whole thing with kids funfair, music, food and stalls selling everything from vintage clothing to car memorabilia. Plus the Antiques Roadshow massive will be there to give free valuations on any items you find in the attic that fit into a large carrier bag. The mind boggles…. It’s carnival time! Parade down the High Street to Marlow’s Higginson Park (this year’s theme is reduce, reuse, recycle) for fair rides, live music, BBQ food, lashings of booze and a tea tent. I’m not sure how Stonor Park polices what qualifies as vintage and antique but this sounds like the kind of event where you could find a real bargain or two. Tickets are £7 between 9am and 10am and only £3 from 10am onwards, so if you’re serious about snaffling that masterpiece, get there early! Otherwise meander around until 4pm at your leisure.